EDIT: LINKS REMOVED! Sorry, but the pirates and bandits have ruined it for everyone. Due to unscrupulous individuals bootlegging and SELLING my design, I have decided to remove the links. I thought long and hard about this and it wasn’t an easy decision. Apologies for those who weren’t able to get the links before I removed them. I may someday do another run at a premium price. IF I do, I’ll post in this thread. DO NOT PM ME. I WON’T PROVIDE YOU WITH THE FILES. YOUR PMs WILL GO UNANSWERED. Rather than pull the files down and punish the community, I’ve decided to one up him a bit. I’ve decided to sell a limited number of box sets myself. THESE SETS WILL NOT INCLUDE THE BLURAYS, ONLY THE BOX AND THE ASSORTED GOODIES. 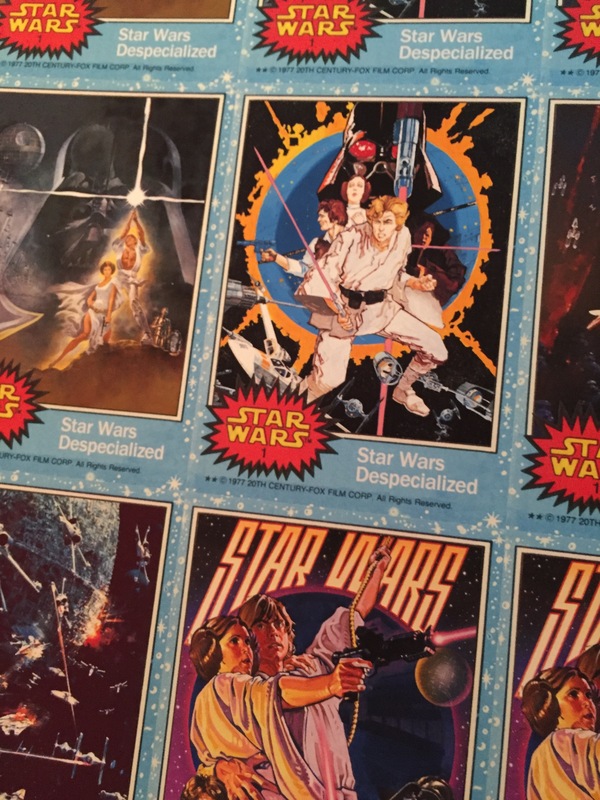 I’m adding a few goodies to make it different from the free box set you can make yourself (for the free files: REMOVED DUE TO PIRACY)… A pack of three Topps style trading cards. I’ll be signing and numbering them. One randomly inserted Despecialized poster card. I’ll only be making FIVE sets this year. If I decide to make five more next year, the cards will have a RED border to match the 2nd Topps series. I am not promising a specific delivery date, as I’ll be making them in my spare time. 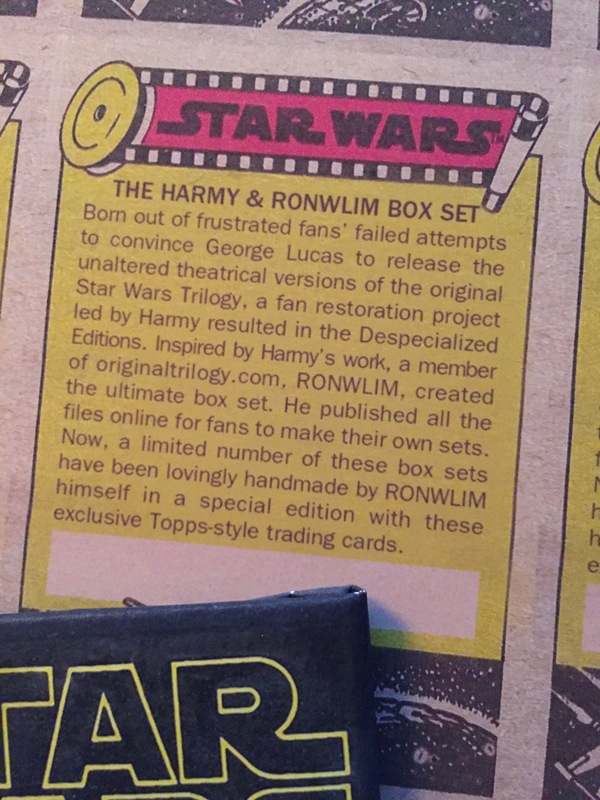 Because of the effort and costs involved to create each set, they will be rather expensive. Again, THESE SETS WILL NOT INCLUDE THE BLURAYS, ONLY THE BOX AND THE ASSORTED GOODIES. I would like one of these. How do I purchase one? "Ollie, wontcha speak to me…? How do we purchase this, and how much is it per set? Interested in two. Someone just wrote to me asking me to make this box set for him WITH the discs FOR FREE. Bwahahaha. Hey ronwlim are there any still available? I thought I send you a pm a few days ago, but haven’t used this site in 2 years so I have no idea if my pm was sent correctly or not. I received no PMs from you. Okay pm sent, though I didn’t see that you sent me one as well. Sully, didn’t get a PM from you. At any rate, the limited run of five box sets have sold out. After months of zero requests, I have been deluged over the last two weeks. I am taking a waitlist for a second run, but I’ll be upfront, I may not do another run, as its a ton of work to print, handcut and assemble these boxes. Don’t forget, the files are posted online so you can always make your own (BUT NOT SELL THEM)! Ronwlim I sent you a PM for 1 box set if you are still accepting requests. Thank you. I just want to thank you for making these files available for free. This is truly a thing of beauty. Thank you for taking the time to create such a thing. I’m going to try to print and assemble this myself, but I’m not very talented when it comes to arts & crafts. Should you decide to make a second run I would definitely be interested. How do u PM? Nevermind. Duuuh! Lol!! I believe I sent a PM to you ronwlim. Would love to be added onto the second run request! Damn dude, this is an amazing set! I would love to make it, but the files are no longer on mega:( Could anyone point me in the right direction? Thanks! Hoping for a second run at some point! Ron, Sorry to hear that some thieves have stolen your work and forced you to remove your files. I just saw Harmy’s unboxing and the set looks beautiful. Thank you for being such a great fan and sharing your art. I wish I had seen these sooner.